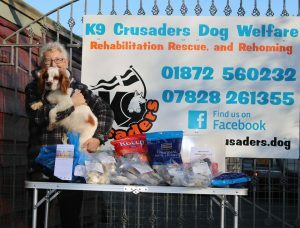 K9 Crusaders Dog Welfare - "Standing Up For Dogs"
We are a Cornish based rescue, rehoming and rehabilitation centre who service the whole of Cornwall. 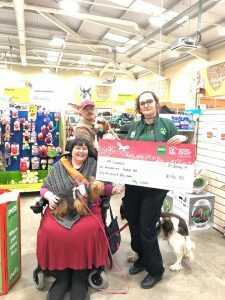 We are independent and rely solely on donations to survive and on our small but dedicated team to run the centre, fundraise, conduct behavioural support, and advise on any aspect of dogs and dog welfare. Please have a look around our site; learn more ABOUT US, see our DOGS NEEDING HOMES, check out our UPCOMING EVENTS or read our LATEST NEWS. 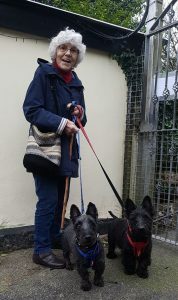 To visit the kennels to meet a dog you MUST first call for an appointment on the above phone number (Booked appointments are usually made between 11am-12.30 and 2-3, 7 days a week). If you call on the offchance between 11am-12.30pm and 2-3pm, our appts will take precedence, but as long as its within opening hours, we will endeavour to help if we can. Today has been a difficult day. Unfortunately this is not unusual. My phone log shows 24 incoming calls today-not particularly busy by our standards. Out of those 24 calls, one was from a K9 Crew member, one was from a lady with items to donate, and one was from the owner of the little dog being admitted tomorrow. The other 21 were from people wanting to surrender their dogs. One was losing their accommodation. The other 20 had all fallen victim to debilitating illness and could no longer care for their dogs. Distressed, distraught people. Social services called on behalf of 2 clients. How many of those 21 could I say yes to? Not one. All have joined the waiting list, queued behind those already waiting. That is why it has been a difficult, heartbreaking day. It is why I can't even think about sleep. It is why I am writing this. Why could I not say 'yes'? How do you think we are funded? By the local council? No. By the lottery? No. Animal charities aren't eligible. By some massive funding pot for charities? No, there isn't one. So how do we keep going? One word. YOU. You-who love dogs, who care about what happens to dogs. We rely on you. All those sick owners, and their dogs, all have no option but to rely on you to keep us going. How do we pay the bills that enable us to stay here, and to run? With tremendous difficulty. There isn't enough money. How do we maintain the site, repair and renew the fabric of the kennel complex? Voluntary help? Can't get any. Tried for years. So usually we patch the patches. There isn't enough money to renew or even repair. How do we pay our vets bills? With tremendous difficulty. We currently owe £2,000. We can't go over that. The vets won't let us. 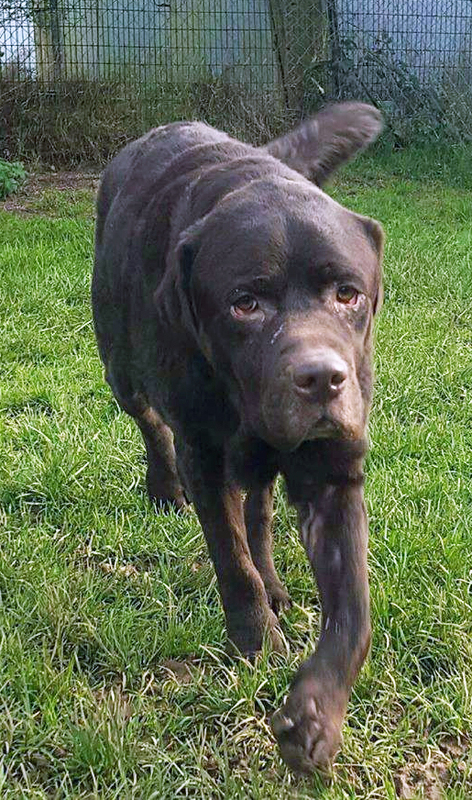 You maybe saw Duke's picture on our Facebook page, posted again here. He isn't alone in needing veterinary attention. He has had his first Malaseb bath and meds and is already a happier chap. We are a dog welfare group-this is what we do-whatever it takes. We cannot-will not-leave a dog to suffer. If we don't have enough money available to treat dogs in need of help, we cannot take them in. We have to let down those dogs and their distressed and often emotionally exhausted owners. If 4,000 people donated £1 a month to K9 Crusaders, we could fly, instead of stumbling along, as we do now. Just £1 a month. Please. Oh, and before you go, multiply today's 21 surrenders by 7. It will give you an idea of a busy week for K9 Crusaders. Welcome to our world. By Paypal direct using "k9crusaders@hotmail.co.uk"